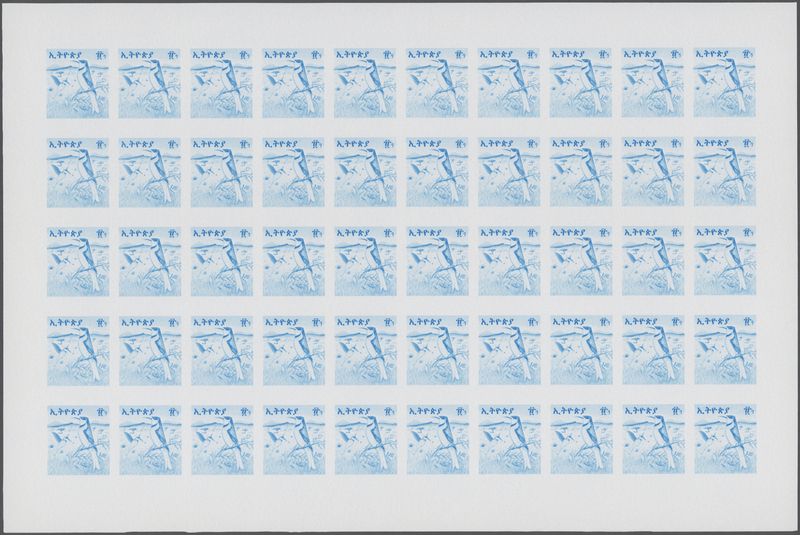 33952 postfrisch (never hinged) ** 852/53 var. 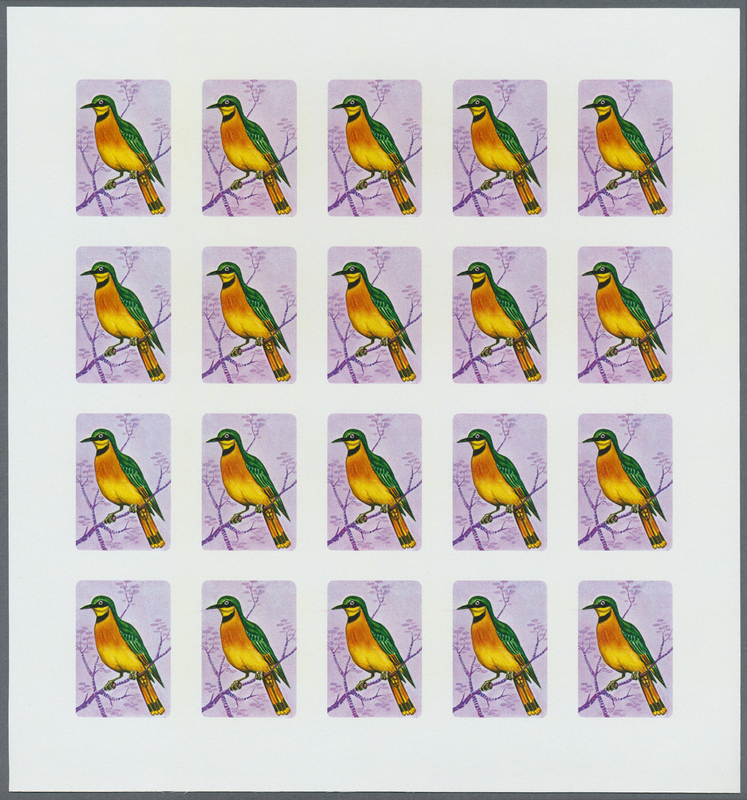 1976, MOROCCO: Birds set of two 0.40dh. 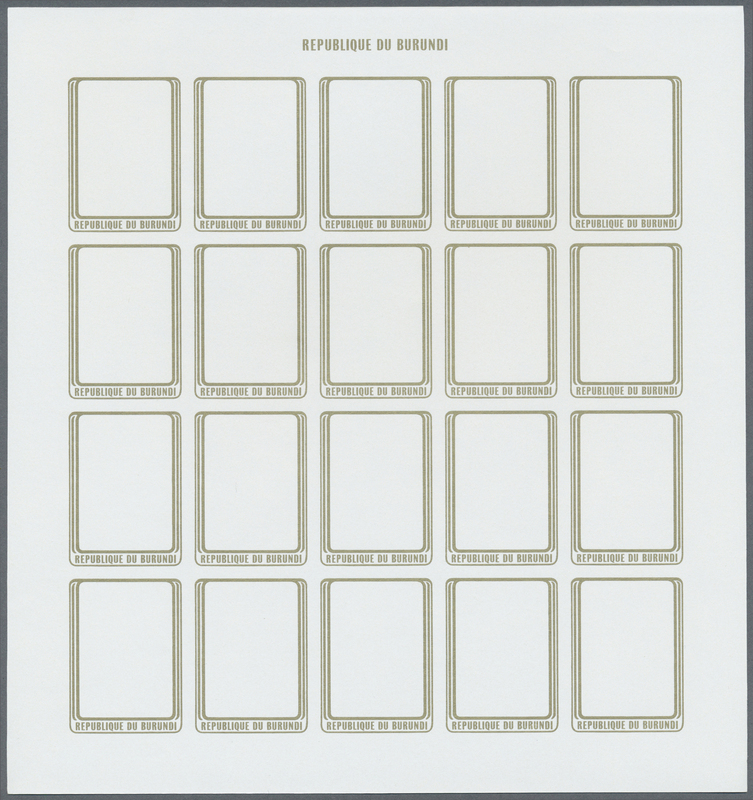 ‚Melierax metabates‘ and 1.00dh. 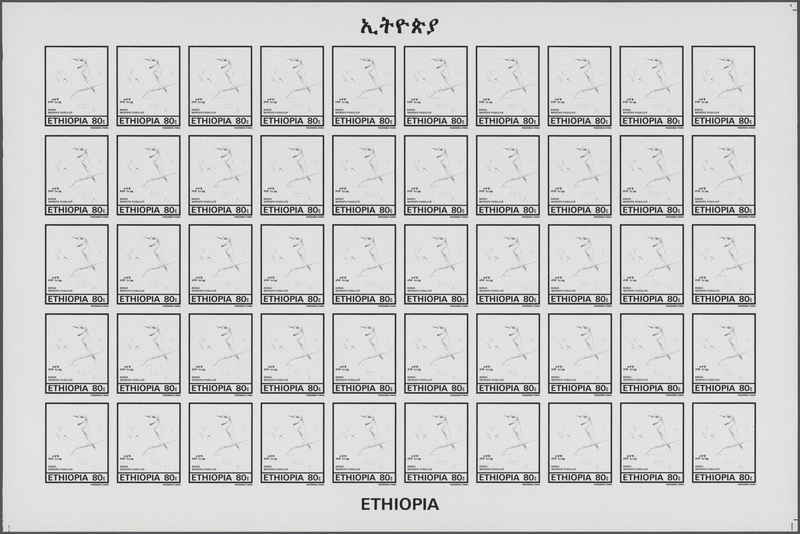 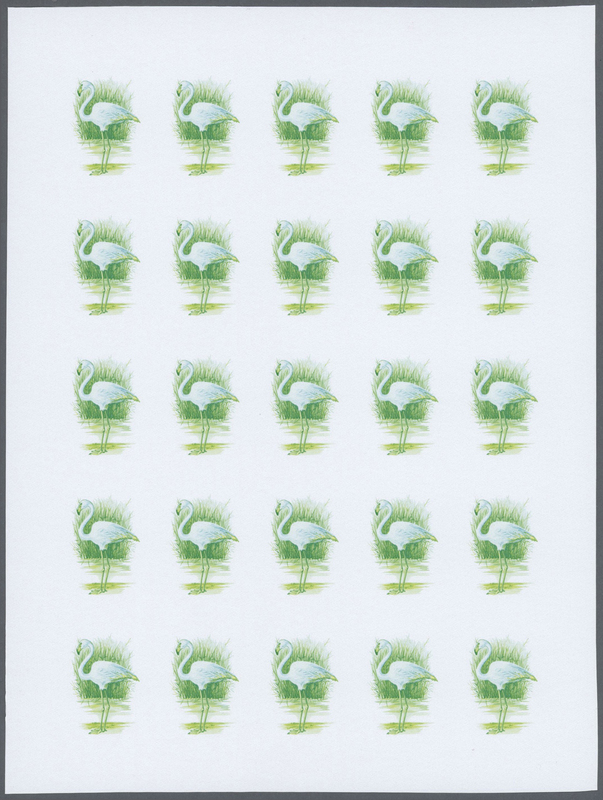 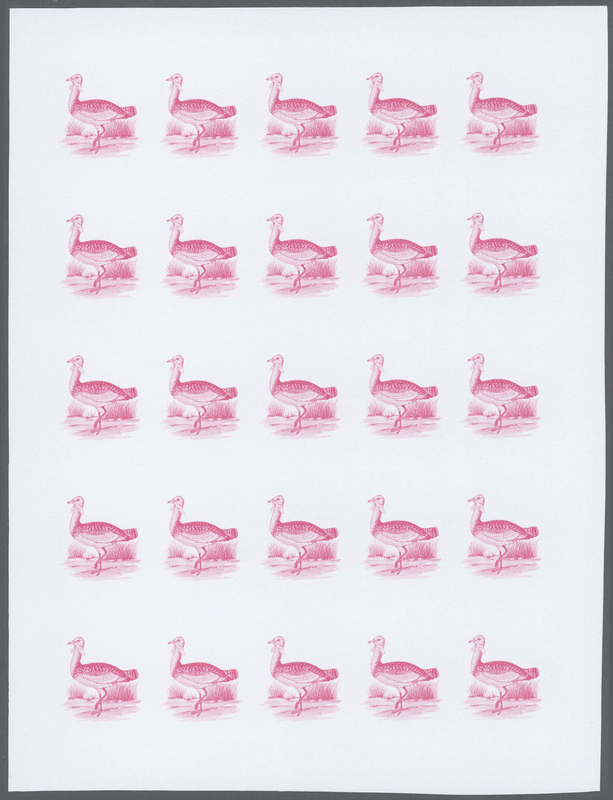 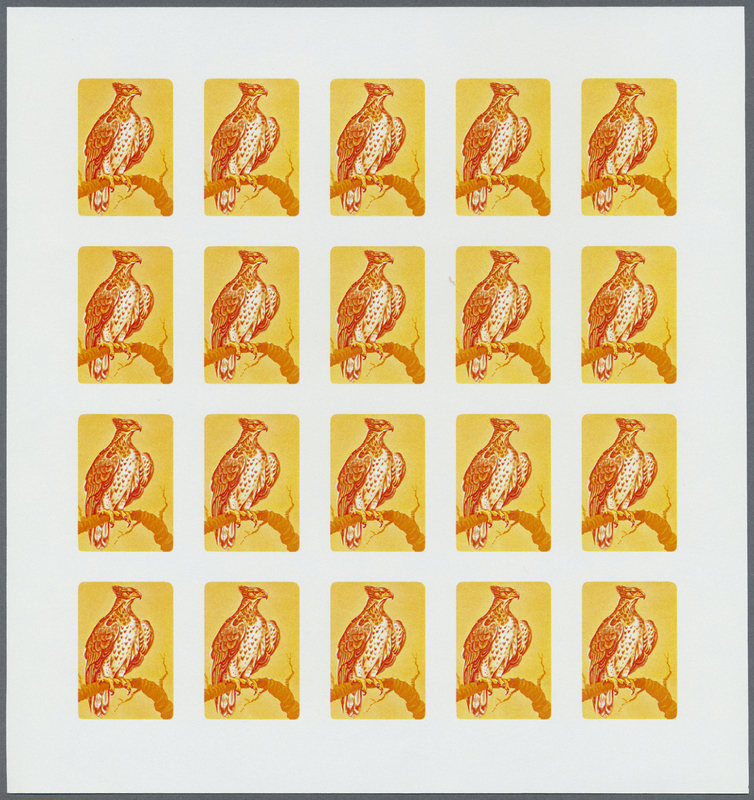 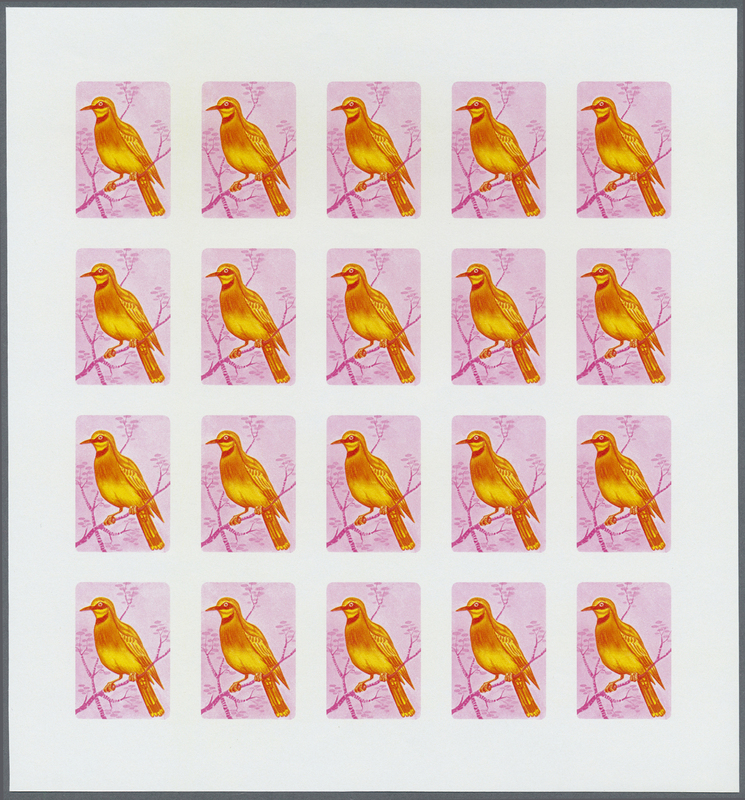 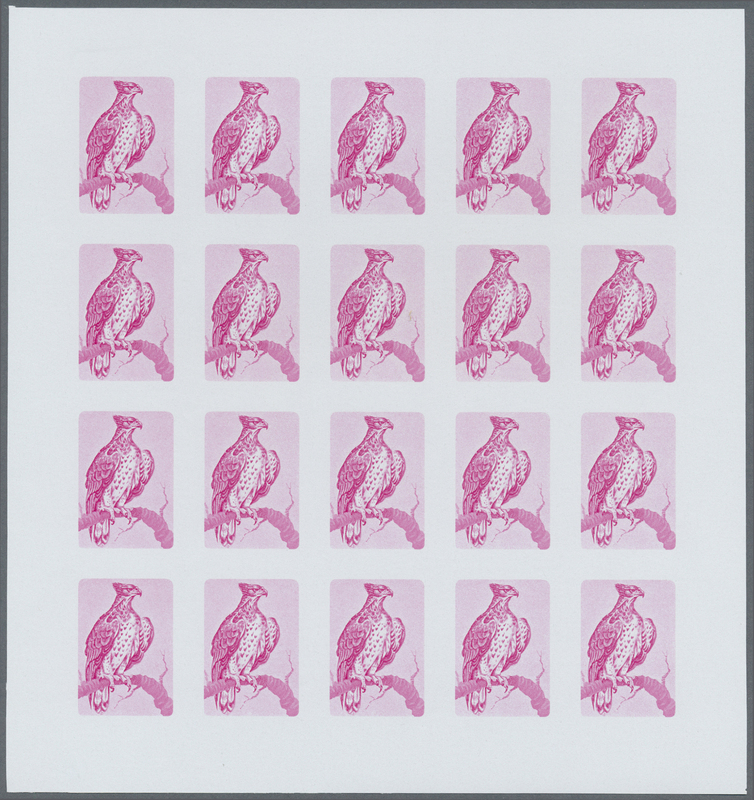 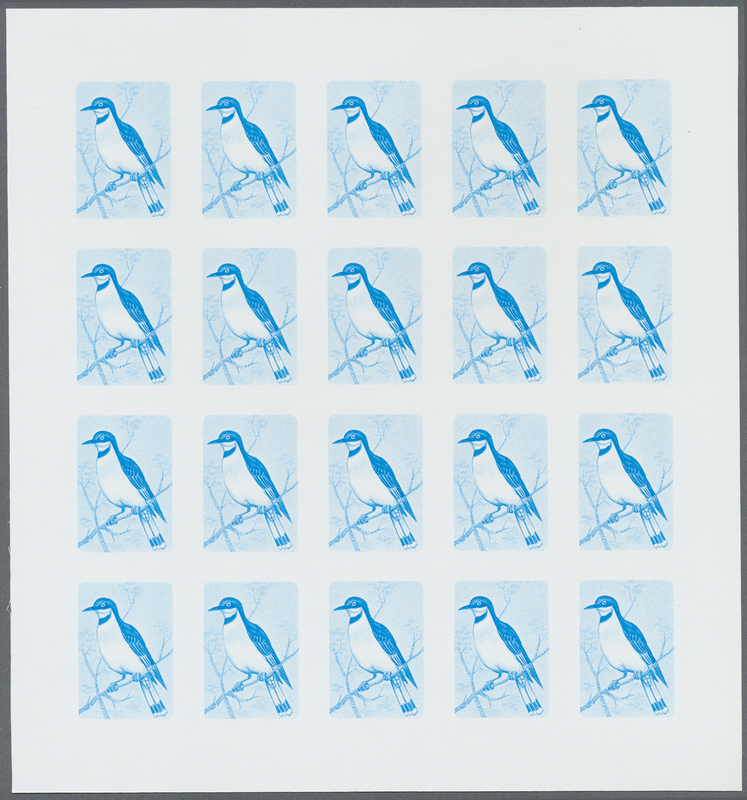 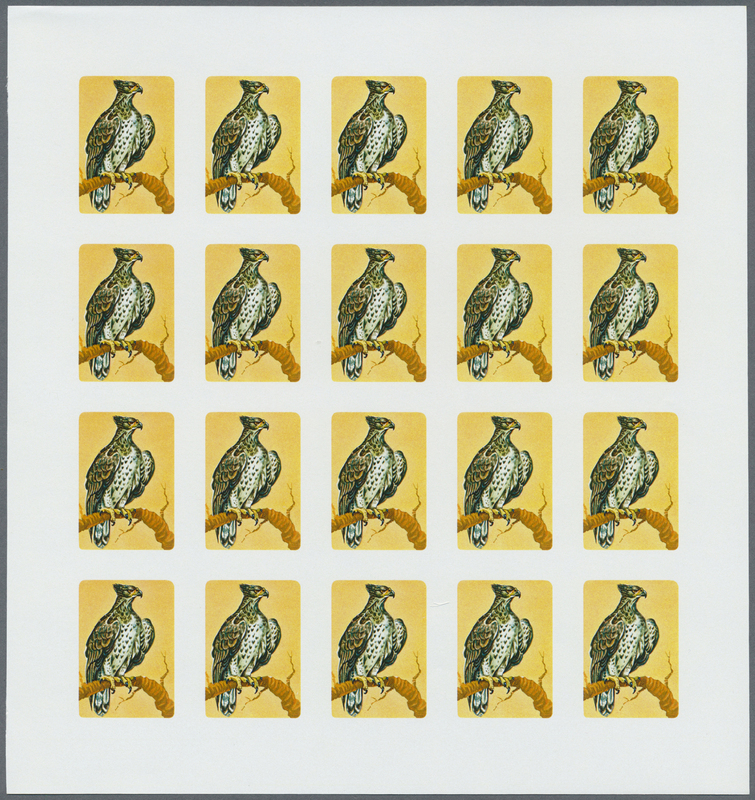 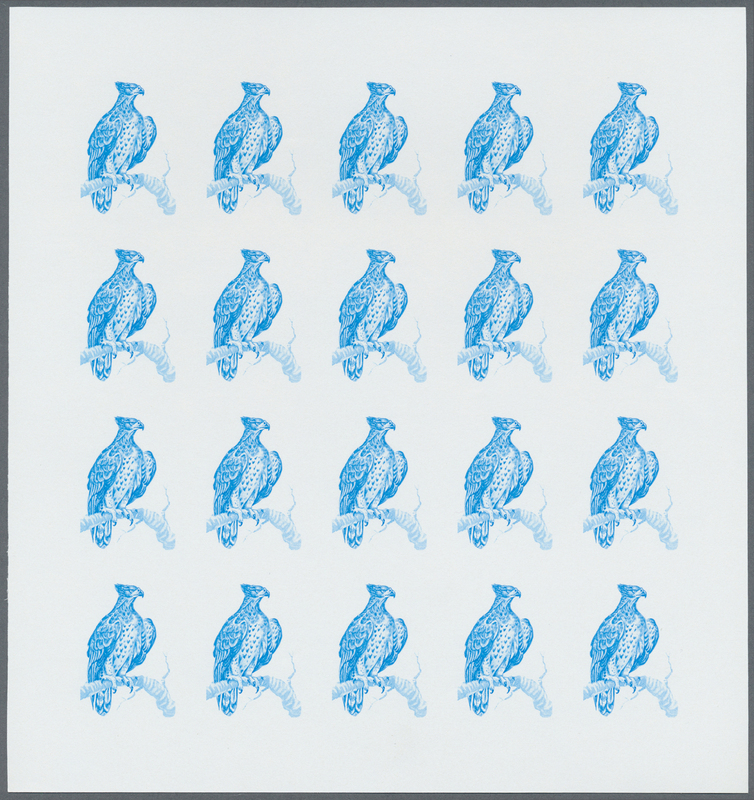 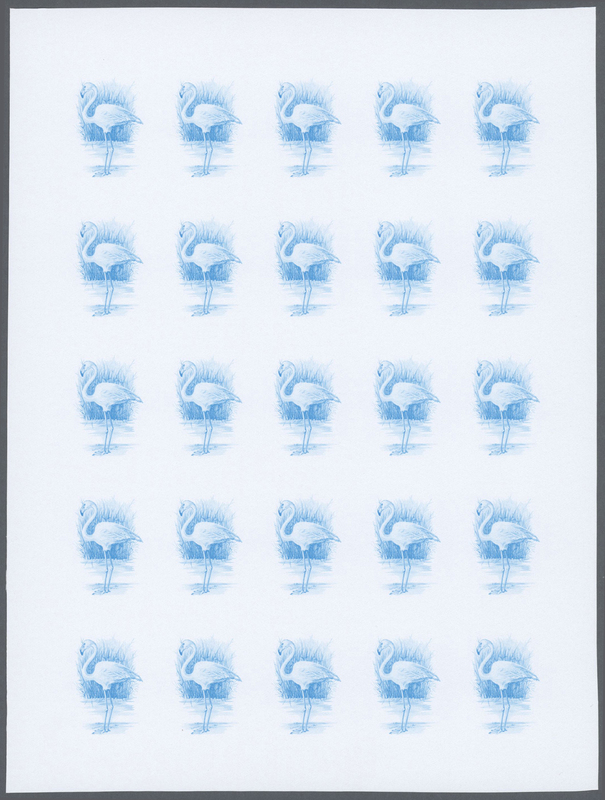 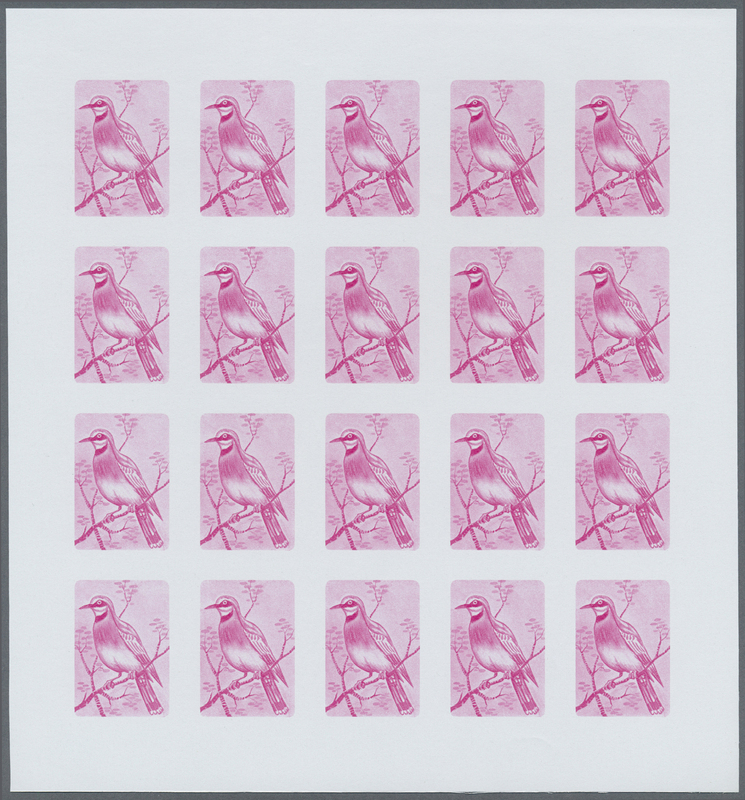 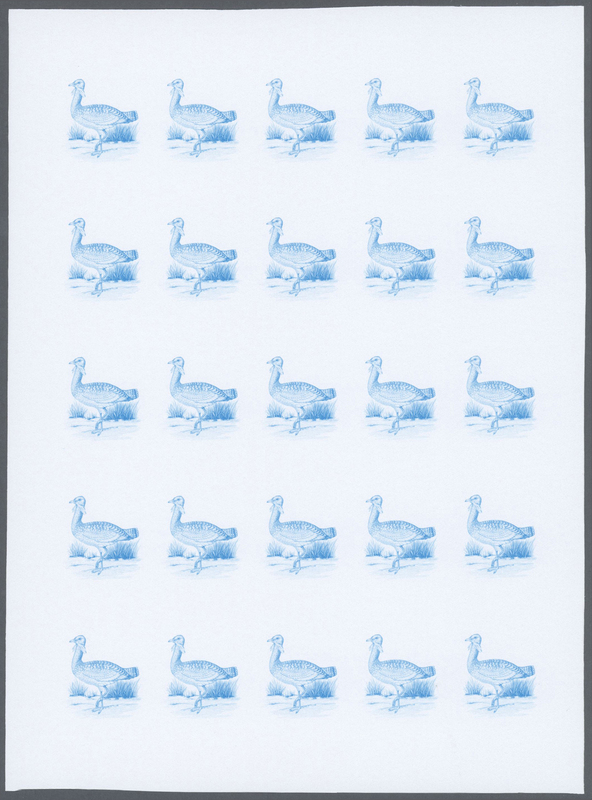 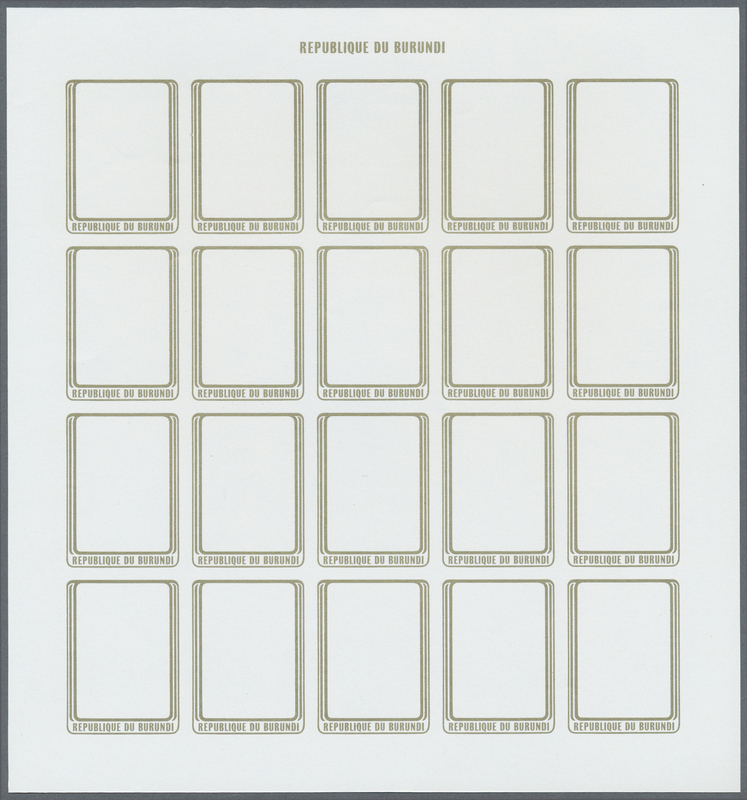 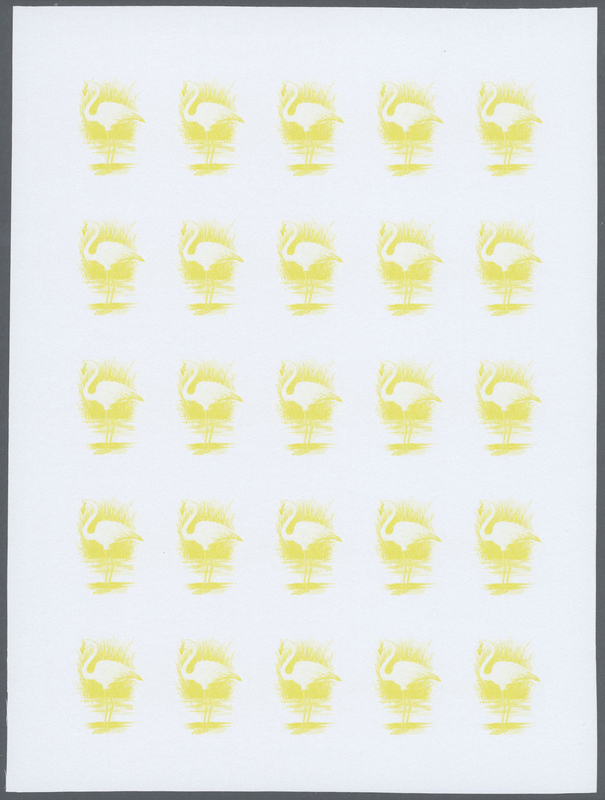 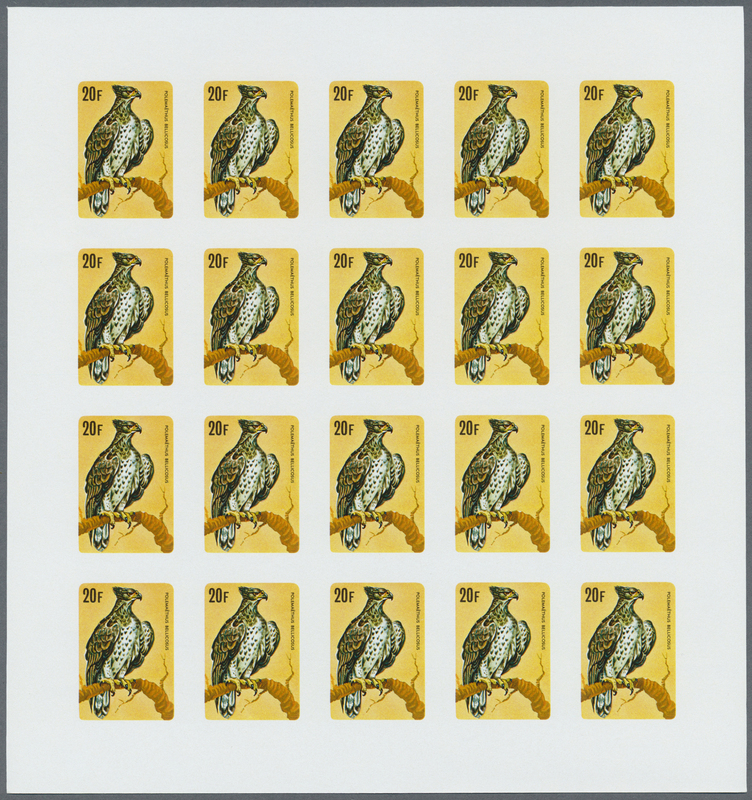 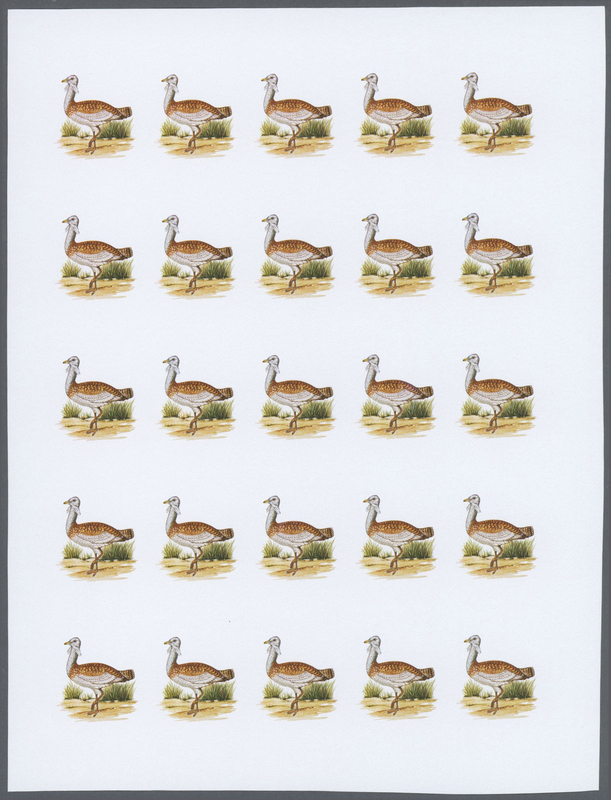 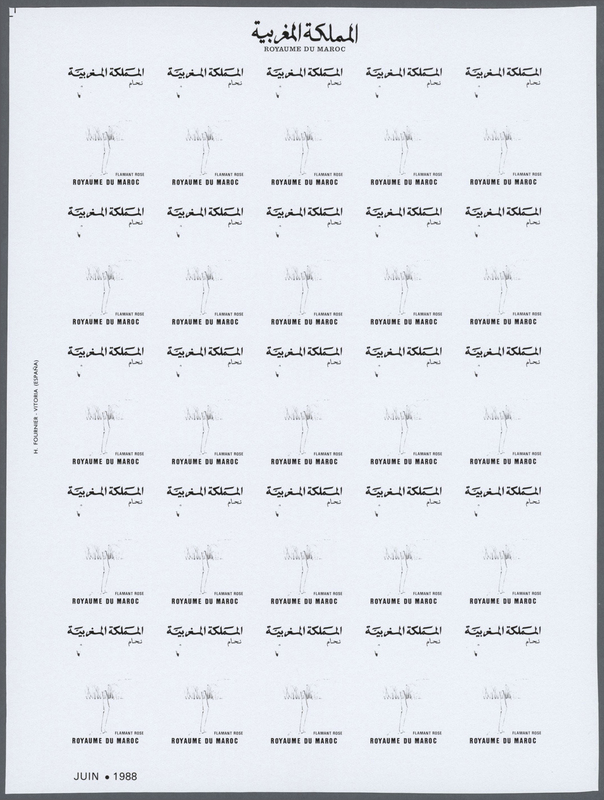 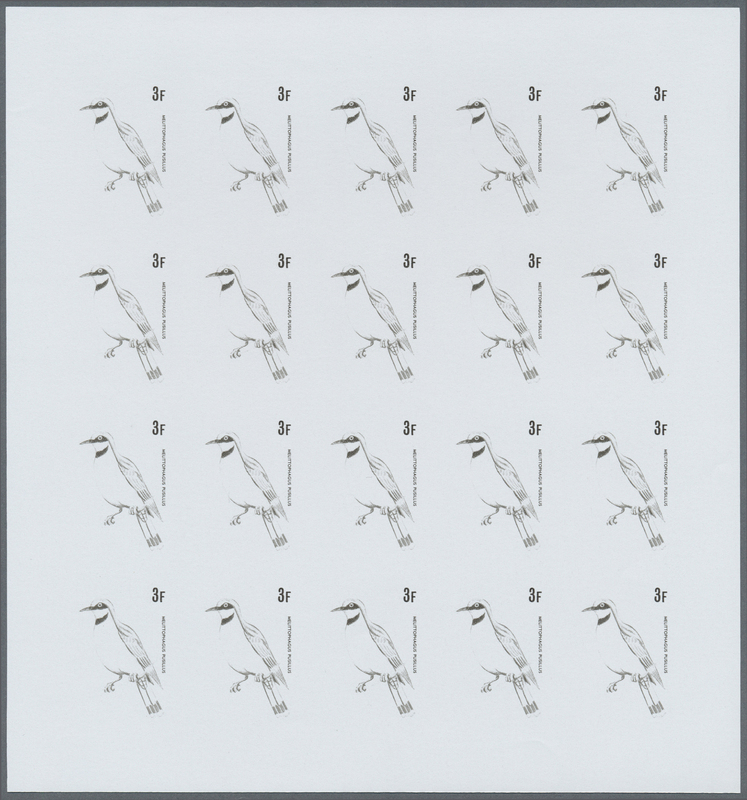 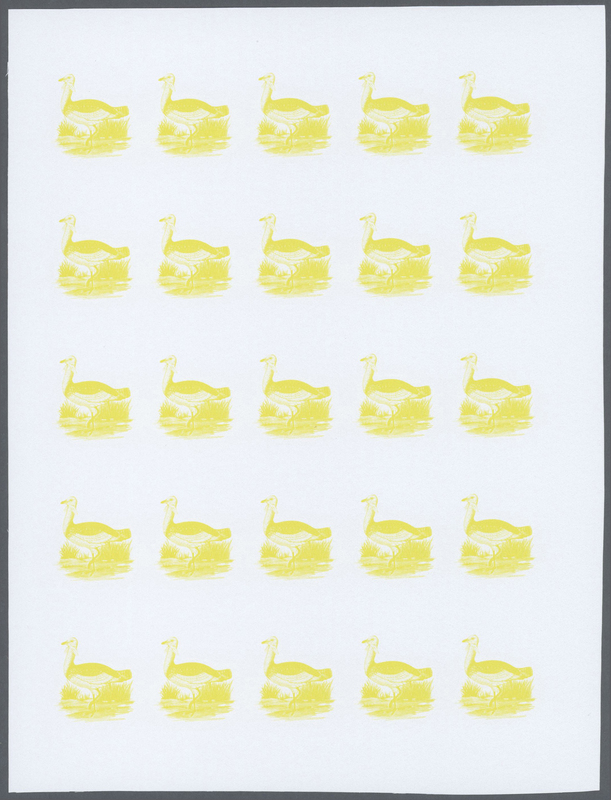 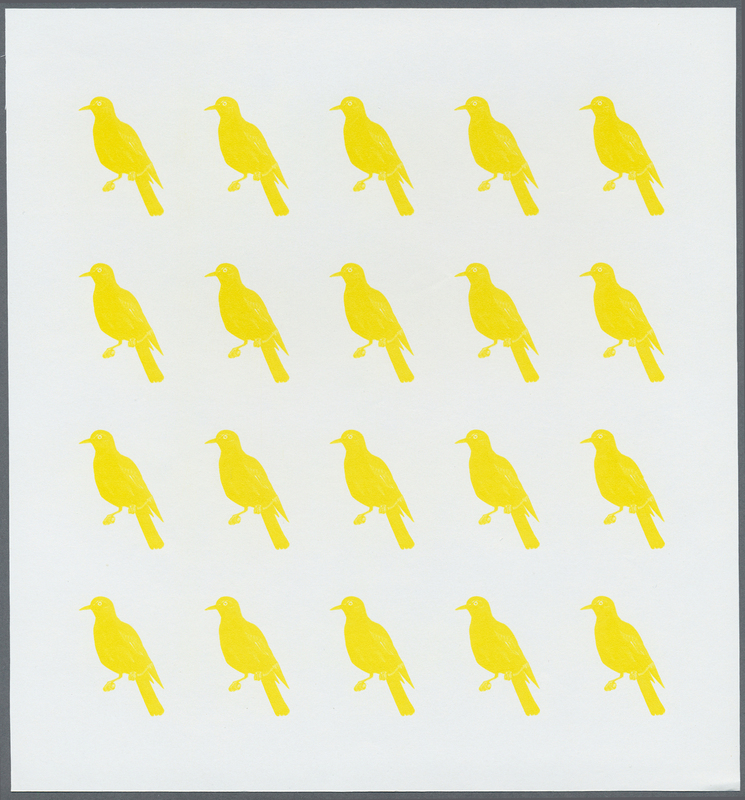 ‚Porphyrio porphyrio‘ in a lot with 25 IMPERFORATE sets incl. 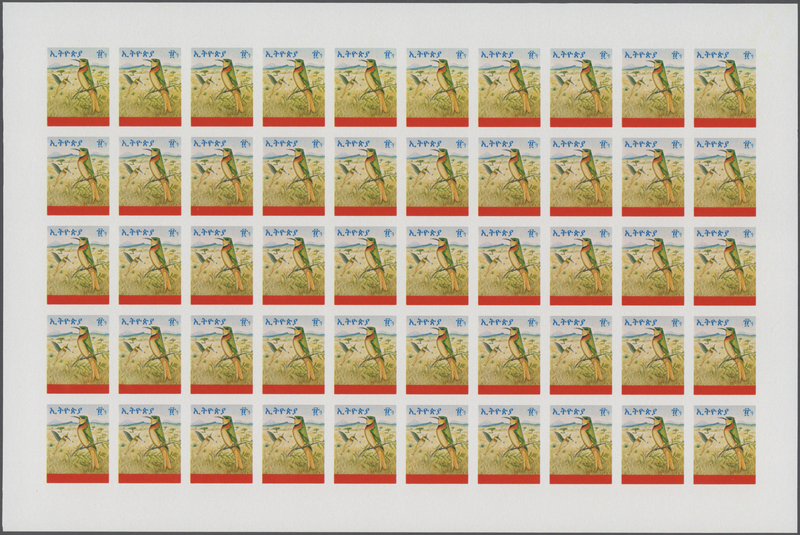 two blocks/10 etc., mint never hinged, Mi. 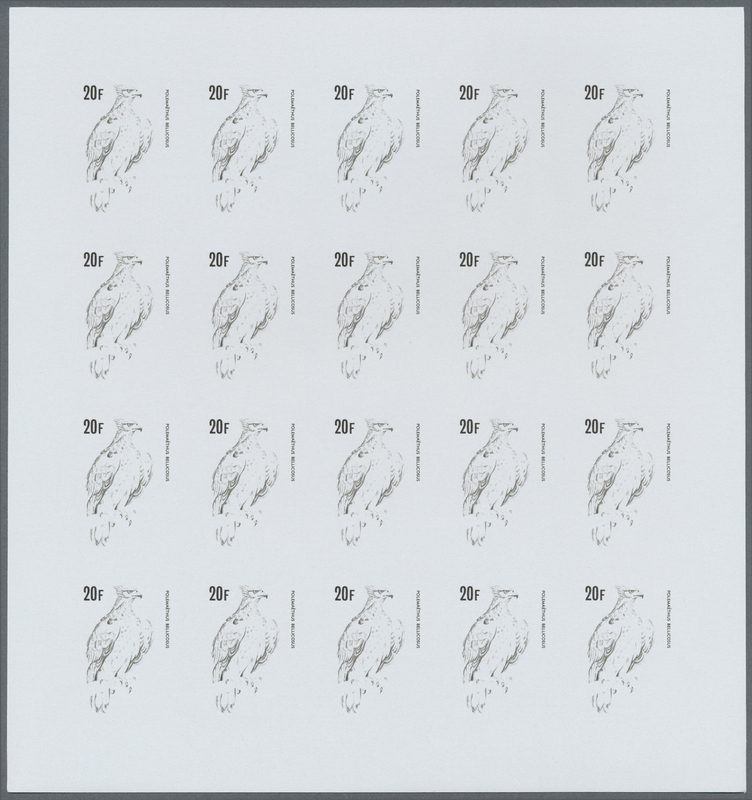 852/53 var. 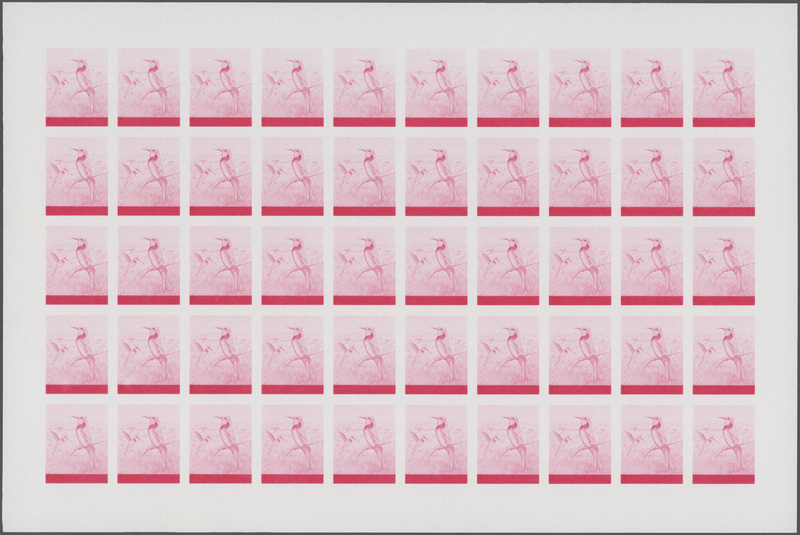 33981 postfrisch (never hinged) ** 1144/45 var. 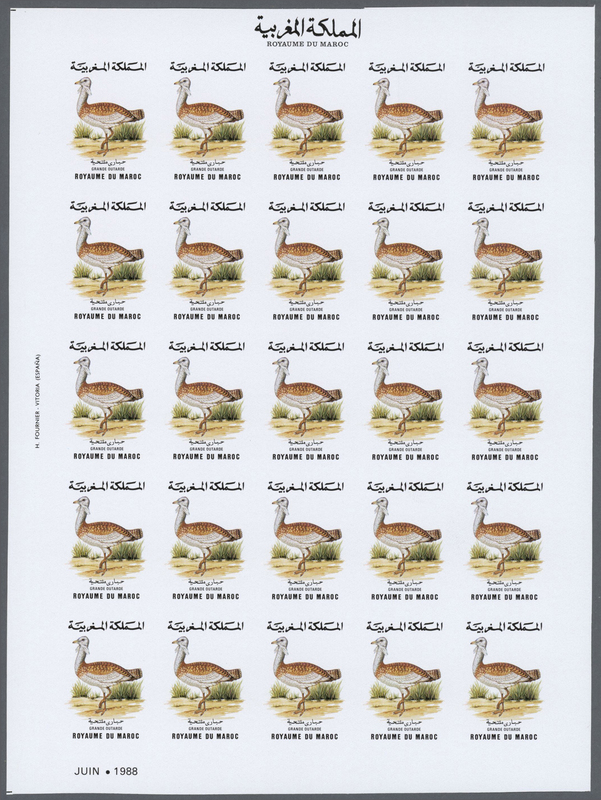 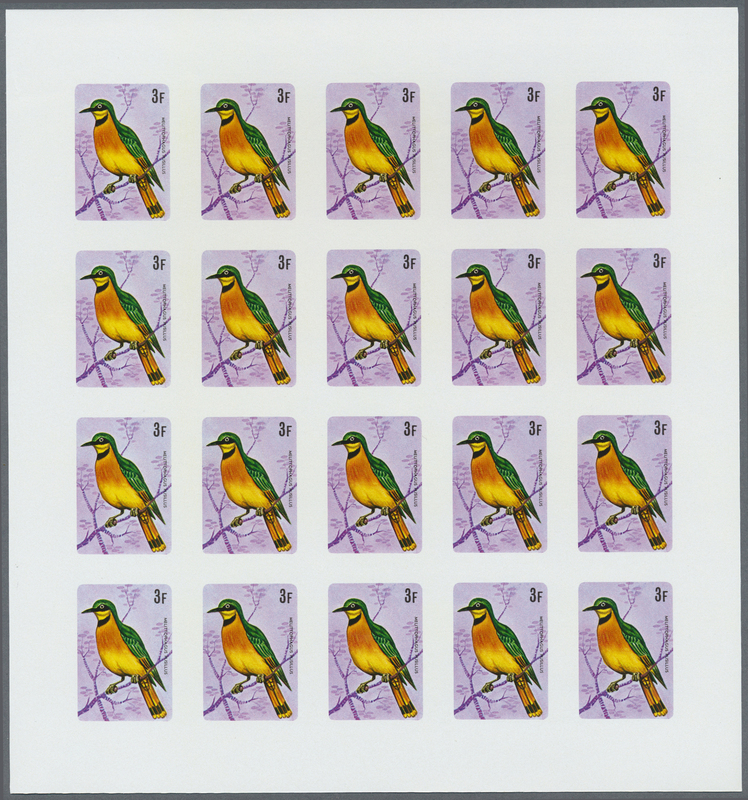 1988, MOROCCO: Birds set of two 3.60dh. 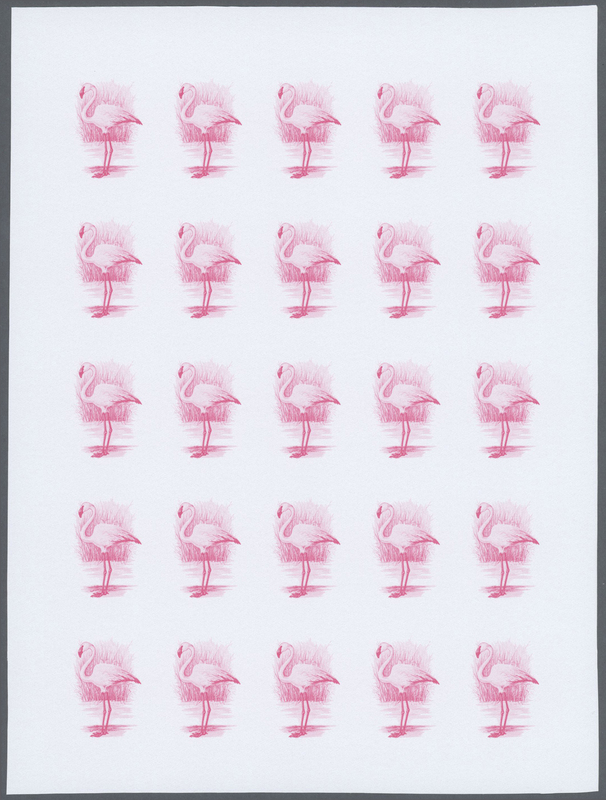 ‚Phoenicopterus ruber‘ and 3.60dh. 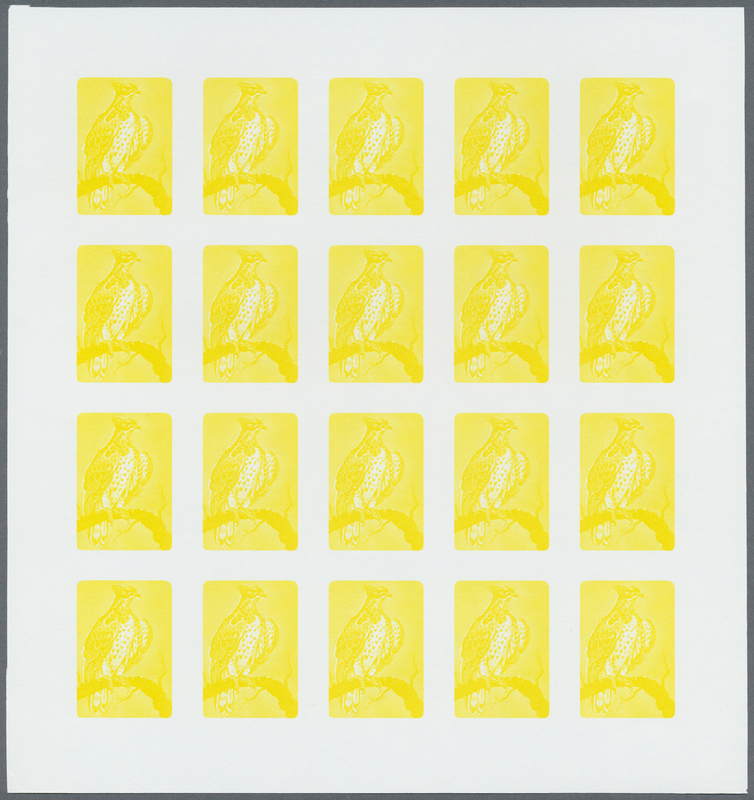 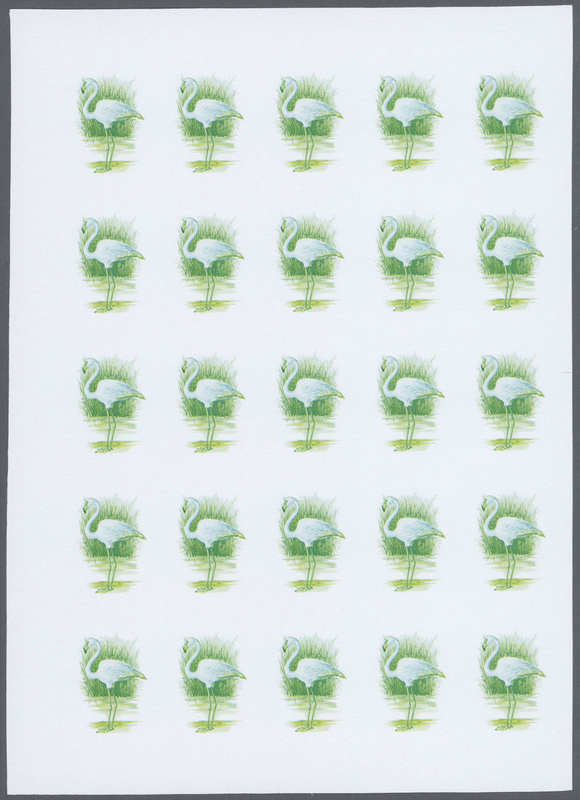 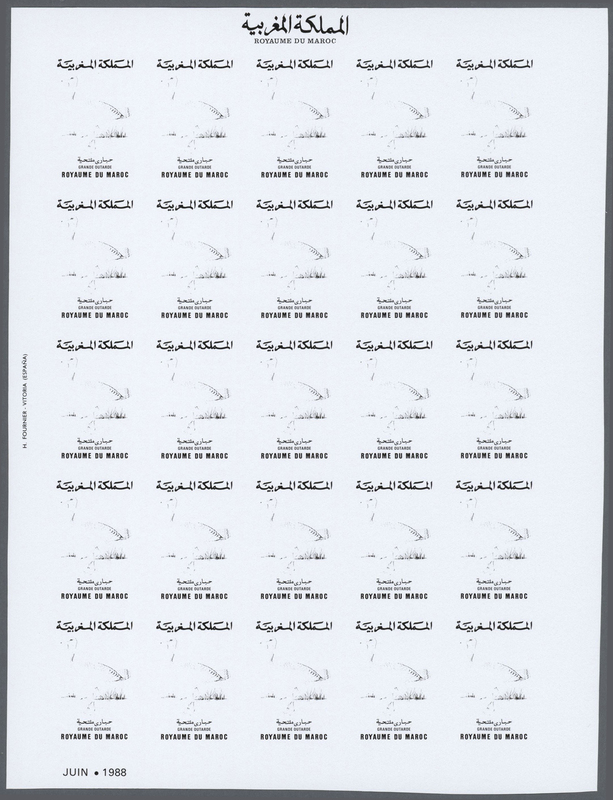 ‚Otis tarda‘ in a lot with 100 IMPERFORATE sets in larger blocks, mint never hinged, Mi. 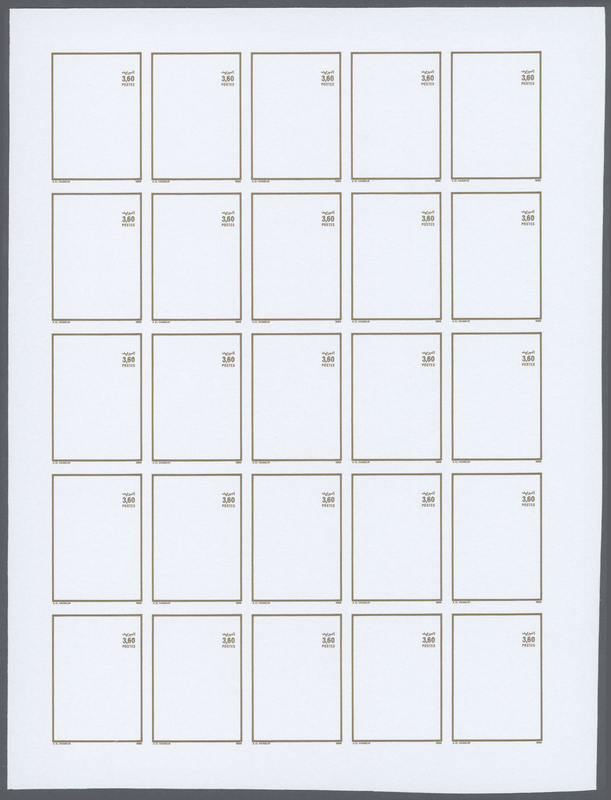 1144/45 var. 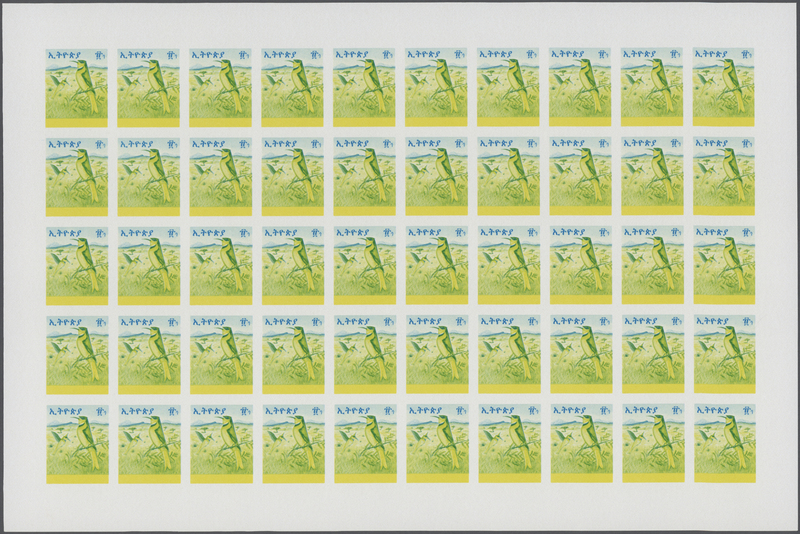 33982 postfrisch (never hinged) ** 1144/45 var. 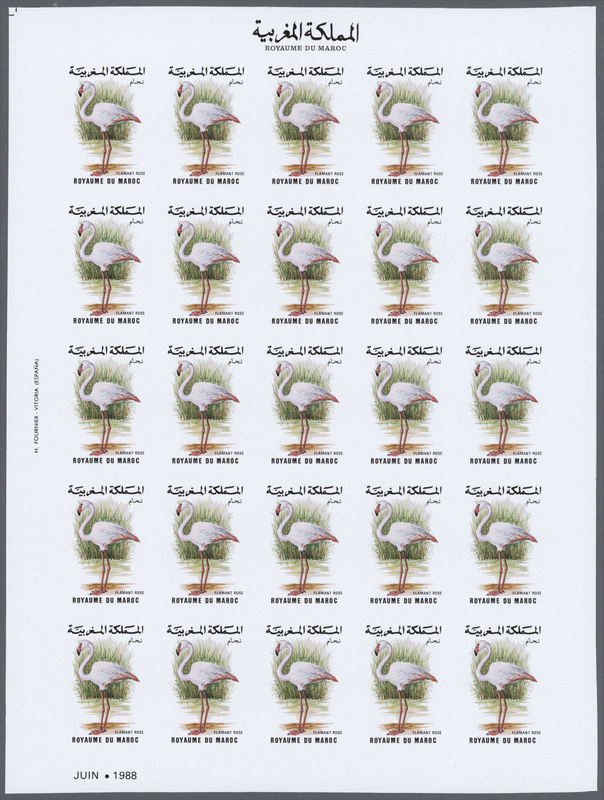 1988, MOROCCO: Birds set of two 3.60dh. ‚Phoenicopterus ruber‘ and 3.60dh. 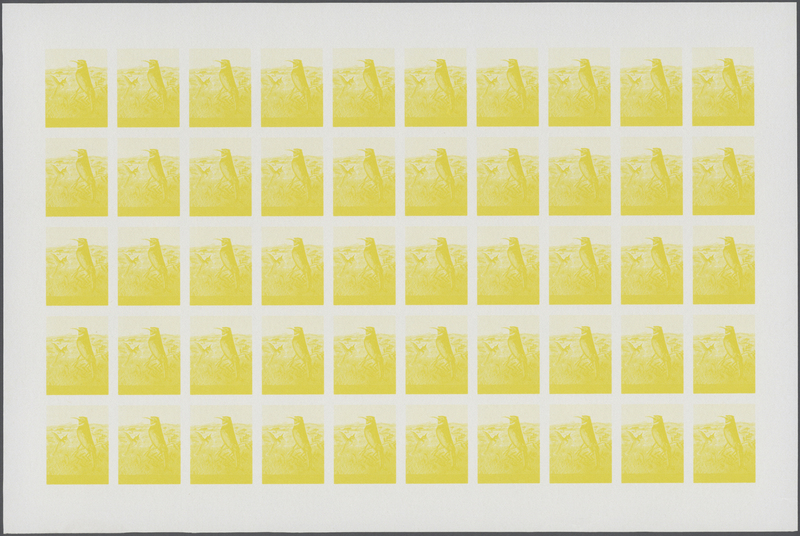 ‚Otis tarda‘ in a lot with 100 IMPERFORATE sets in larger blocks, mint never hinged, Mi. 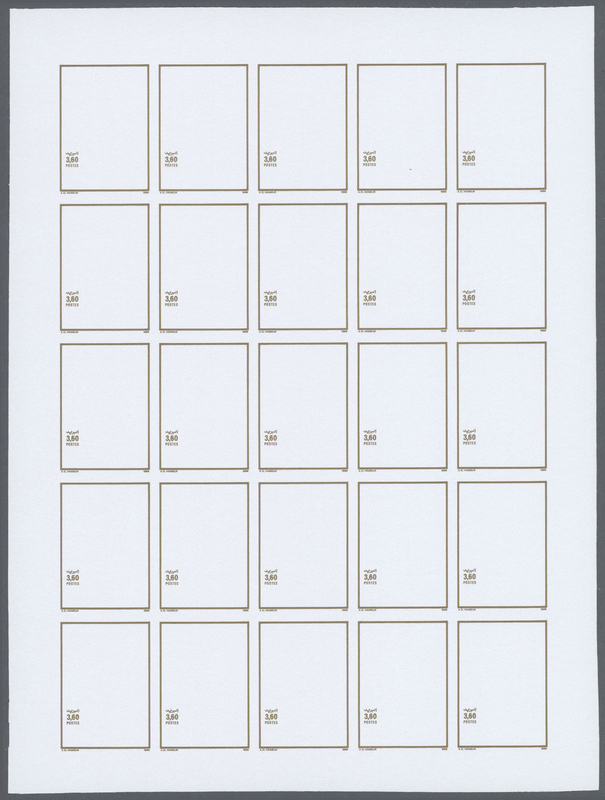 1144/45 var.